Ileana Esquivel is feeling better than ever! She was able to happily celebrate Mother’s Day recently, free of the pain and discomfort that prevented her from reveling in life for almost an entire year. Her debilitating symptoms included low back pain and severe leg pain that prevented her from walking without ambulatory assistance. Mrs. Esquivel underwent numerous, conservative treatments, such as physical therapy, pain management and even using a brace in her daily activities, to provide relief. 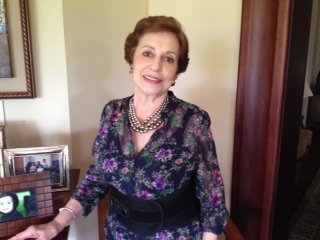 Mrs. Esquivel eventually sought treatment with Dr. Khajavi for a second opinion to explore the available options Minimally Invasive Surgery was able to offer to her. Our dear patient traveled all the way from Costa Rica to Atlanta, Georgia where she met with Dr. Khajavi in our Midtown office to discuss her plan of care. It was concluded that she needed to have a laminectomy and fusion. She now states that she is forever grateful for the results she received after her operation, and wants to share her story in hopes that her experience will give others the much needed hope and motivation to seek out, what could potentially be, life altering treatment.